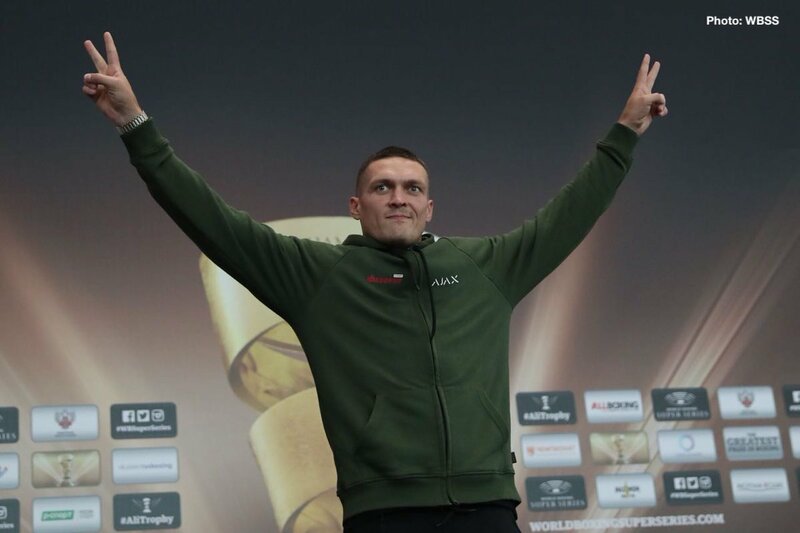 Is Oleksandr Usyk Top-Five Pound-for-Pound? There is no doubting the incredible talents of recently crowned unified, four-belt cruiserweight world champion Oleksandr Usyk. At just 15-0(11) the gifted Ukrainian southpaw has accomplished so, so much already; chief among his big achievements making boxing history as THE first ever man to hold all four globally recognised world titles at 200 pounds: WBC, WBA, WBO and IBF. And in compiling his pro ledger and winning his belts, Usyk has beaten some very good fighters, including – Krzysztof Glowacki, Michael Hunter, Marco Huck, Mairis Breidis and, in becoming a four-belt king and winning the World Boxing Super Series at 200 pounds, Murat Gassiev. That’s some resume, especially for a fighter who has been a pro for just a little over four-and-a-half years. But despite all he’s done, and despite his skill level and all-round ability, is Usyk deserving of a place in the current top-five pound-for-pound rankings? The Bible of Boxing, Ring Magazine, now has Usyk placed in the number-four position on their P-4-P list, while recently promoter Eddie Hearn argued how Usyk (who may well face Hearn’s fighter Tony Bellew next, maybe later this year; maybe in the UK) is either the number-one pound-for-pound fighter, or at the very least he is top-three. Is this about right, or is Usyk being ranked a little too high? Usyk is top-10, no doubt about it, but top-four? In time, what with his lofty ambitions seemingly holding no bounds – a move up to heavyweight in search of yet more gold being very much on Usyk’s mind – Usyk may indeed become the universally recognised best pound-for-pound fighter on the planet. But right now, not quite. 1: Vasyl Lomachenko – lightweight. 2: Terence Crawford – welterweight. 3: Gennady Golovkin – middleweight. 4: Mikey Garcia – lightweight. 5: Errol Spence – welterweight. 6: Saul Canelo Alvarez – middleweight. 7: Oleksandr Usyk – cruiserweight. 8: Naoya Inoue – bantamweight. 9: Srisaket Sor Rungvisai – junior-bantamweight. 10: Sergey Kovalev – light-heavyweight. Now, if Usyk remains unbeaten, active and if he can win even a version of the heavyweight crown, then maybe he will sit atop the mythical rankings we all debate so fiercely. Previous boxing news: Garcia vs. Easter Jr: Is Mikey Looking Past E-Bunny? You are here: Home / Boxing News / Is Oleksandr Usyk Top-Five Pound-for-Pound?